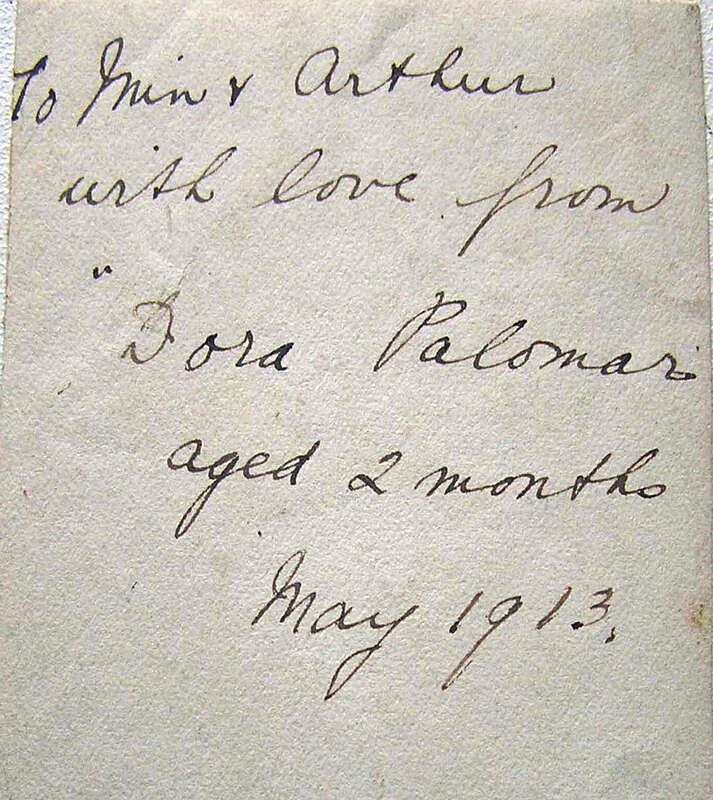 Photos, letters, passenger lists, newspaper clippings ... gradually more has been discovered about the Palomar family! On March 4th, 1911, The Gamons sailed on the S.S. Provence from Le Havre, France, to New York (lines 16, 17 & 18). 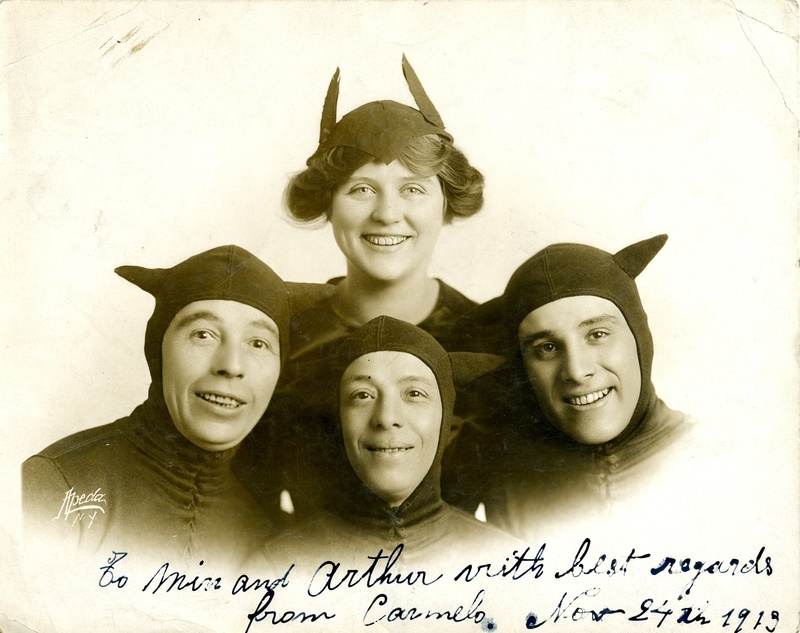 Like the Zanettos, they used their stage name on the passenger list, although Gamon is also quite a common Spanish name. Their address prior to leaving for America is shown as Paris, France. A person's height was indicated on the passenger lists. 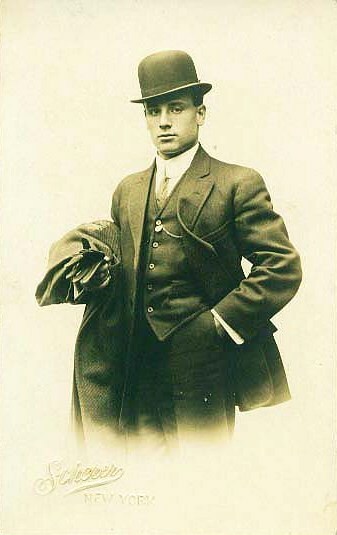 Jessie (5'6") identified her man as being the tallest one, and at 5'6" the man listed as "Enrique Besalduch" was the tallest of the Gamons. This is the only clue so far identifying Carmelo Palomar, although it is also interesting that Enrique gives the name of his nearest relative or friend in Spain as "Carmelo". 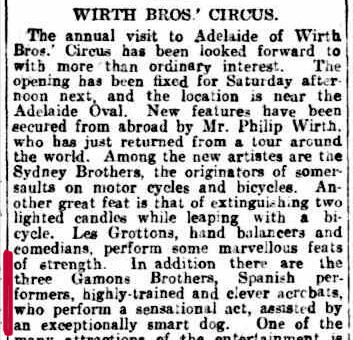 The Gamons travelled to Australia and New Zealand in 1908/1909, where they performed with Wirth's Circus. 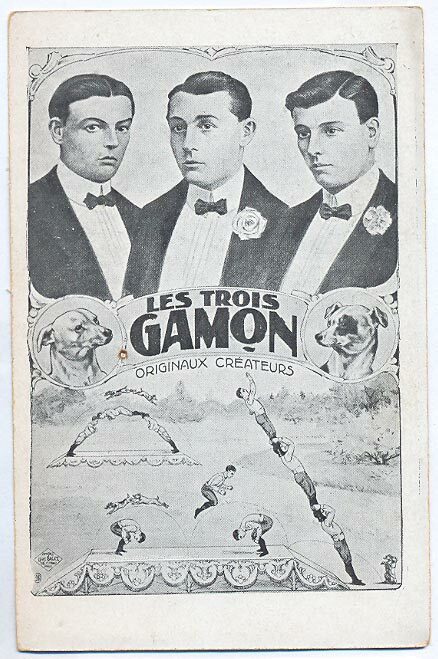 They also appear to have been quite well-known in Europe, and this postcard in French was found on Internet. The illustration below was also found on internet and was apparently made in Germany. 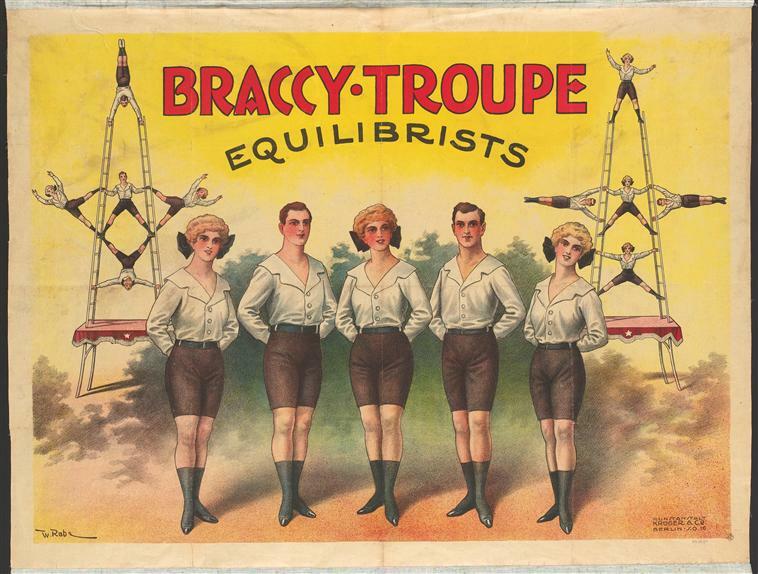 It is part of a museum collection in Paris, and in their reference, the Braccy Troupe is associated with the Gamons. 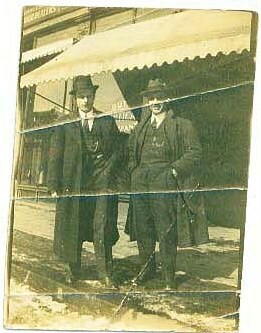 Thanks to photos and documents shared by Valerie Bell (descendant of Arthur Bale a.k.a. 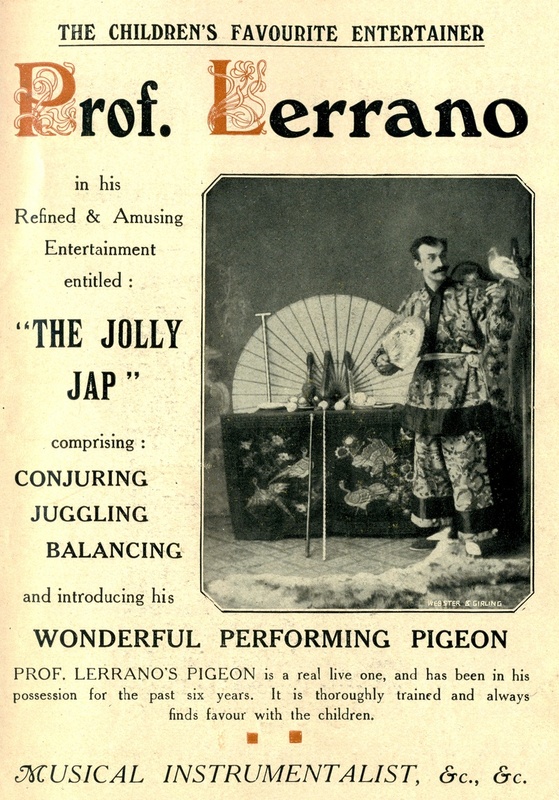 Professor Lerrano), we know that Jessie and Carmelo had Theodora, their first child, in New York in March 1913. 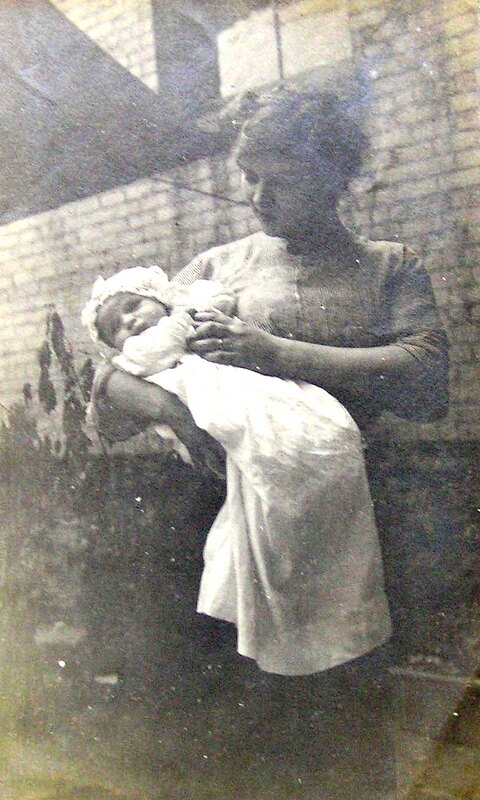 The baby died in July 1913, in Boston, and her mother was noted as "Jessica Bale, single". 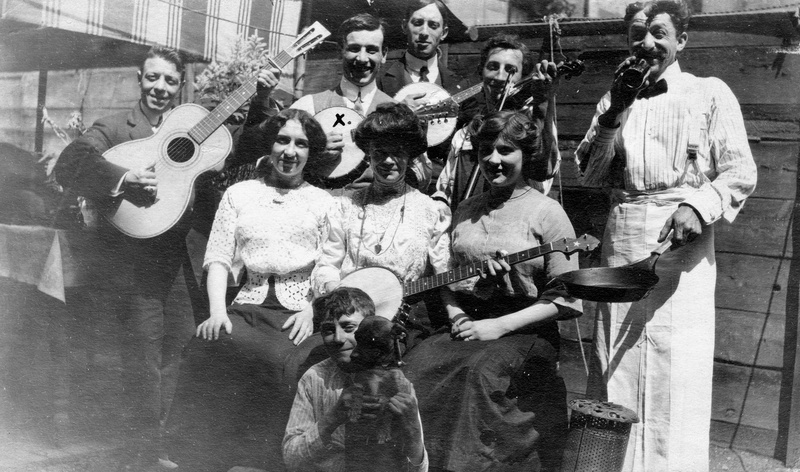 On 24 April 1913, George, Pip, Lilian and little Lily set sail from New York for Liverpool. 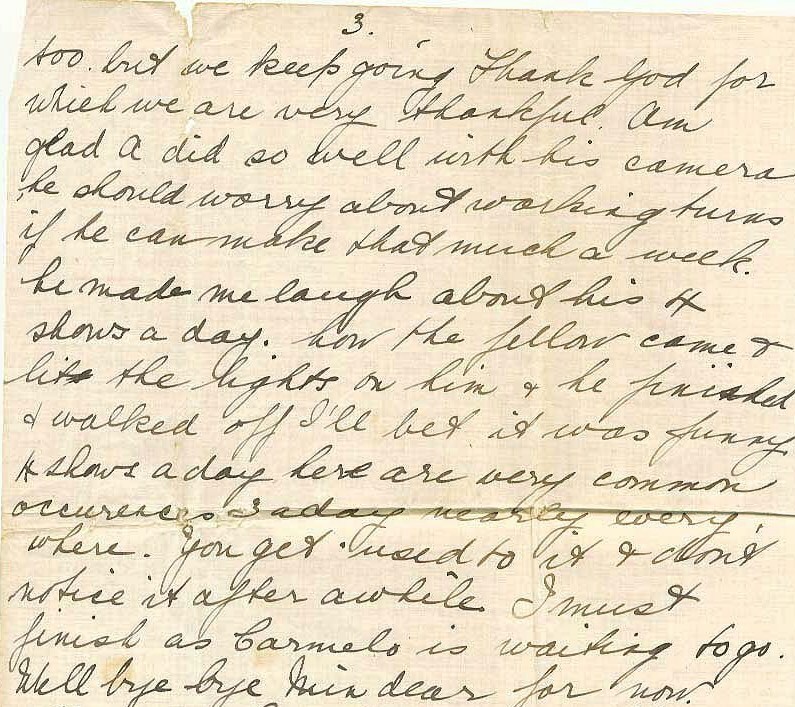 They never returned to America, and it is likely that Jessie never saw them again. 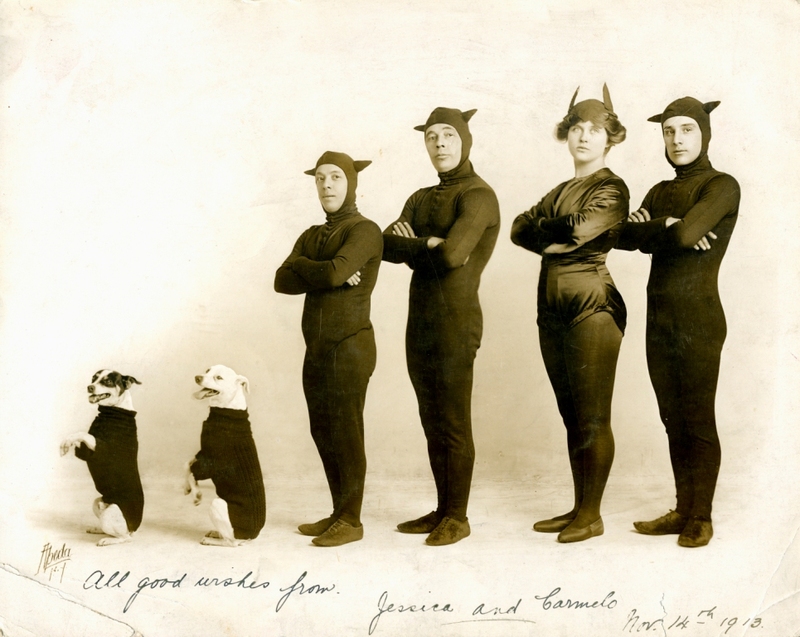 In November 1913, Jessie was performing with the Gamons (and their dogs as featured on the postcards!). There are various clippings of "The Jessica Troupe" on tour in America from 1913 to 1915, so this must have been name they chose for the new act. 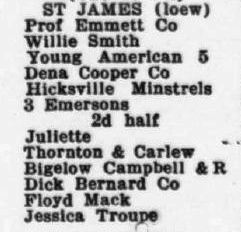 The Jessica Troupe was on the bill for the last week of July 1913 in Boston, which is where and when Jessie's first daughter died. As can be seen above, they performed both at the Orpheum (in the 1st half) and at the St James (in the 2nd half). 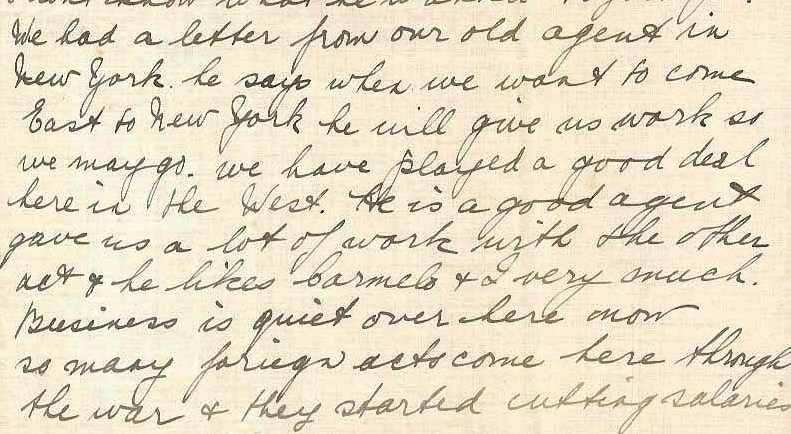 In her letter dated November 1914 to Minnie (her uncle Arthur Bale's wife), Jessie writes that 4 shows a day were quite common for them. She also comments on her Bale relatives, implying that she changed her name to Palomar rather than it becoming her name after she married. 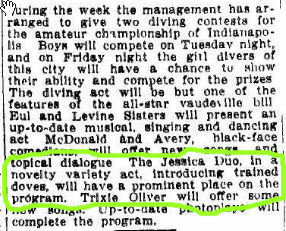 The following clipping shows "Jessica Duo" (above) performing in Utica, NY, in 1915. 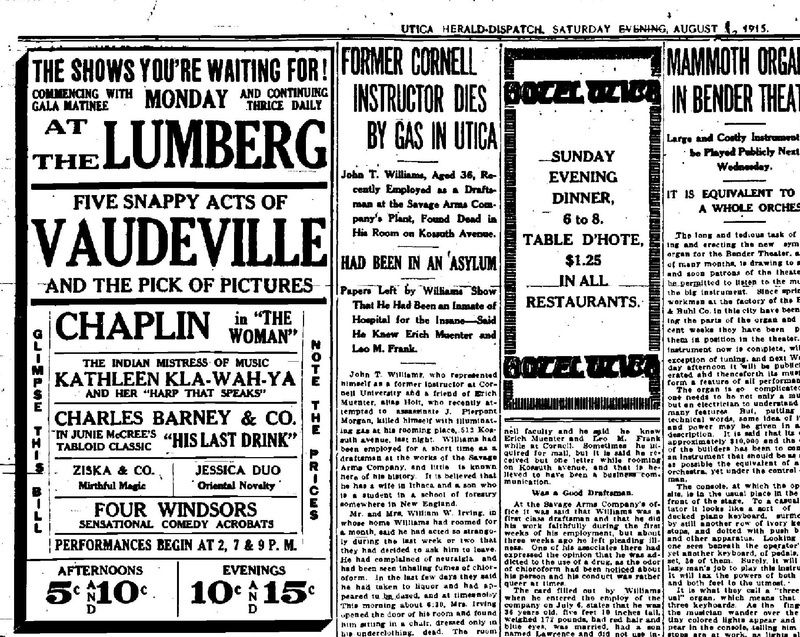 By that time, vaudeville theatres were also regularly combining acts like theirs with moving pictures, in this instance "The Woman" with Charlie Chaplin. Not having found any trace of their marriage, I was curious about the family name Palomar. Carmelo was Spanish, so an obvious connection was 'paloma' or 'dove' in English, 'palomar' being a 'dovecote'. 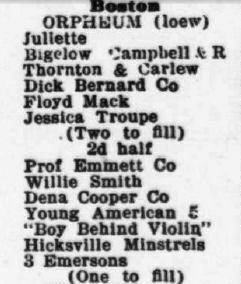 In May 1915, once again we have the Jessica Duo on the bill at the Colonial Theatre in Indianapolis. But for the first time as far as I can see, a report on the local press mentions doves! On December 14th, 1916, their second daughter Jessica Georgina was born in Chicago. As for their first child, the parents are noted as Jessica G. Bale and Carmelo Palomar. Below, some photos of Jessie and Carmelo on tour in America. 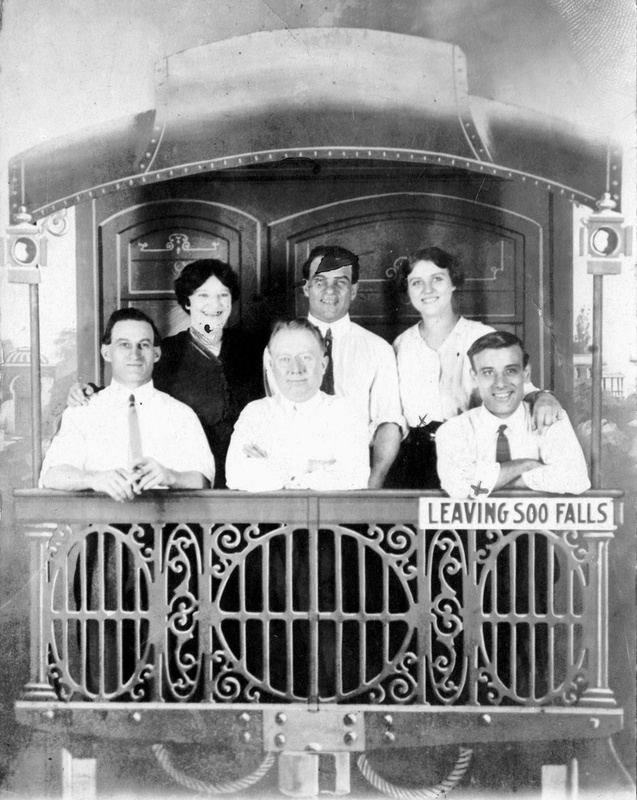 In August 1923, they sailed "first cabin" from Havana to New York as a family, with Jessica Georgina and another daughter: Leonor, 2 years and 10 months old, born in Sao Paolo, Brazil. Their final destination is Sydney, Australia. 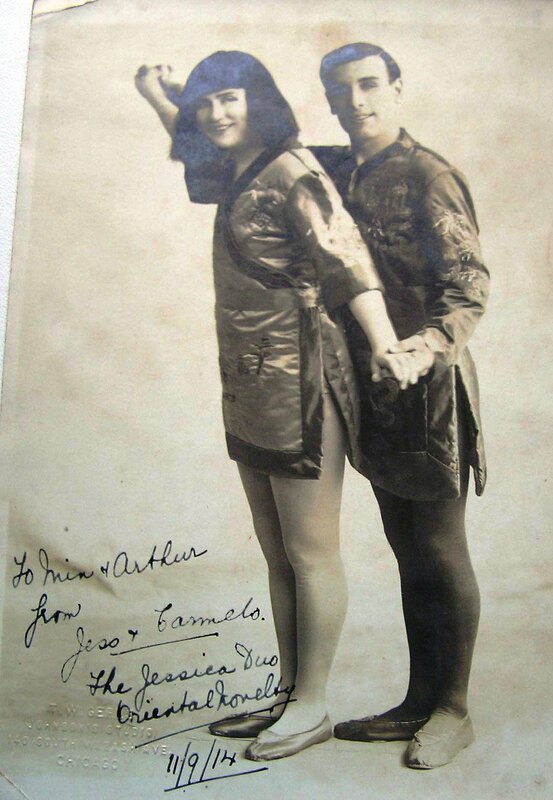 The Palomars are listed with Alfredo and Emerita Egochaga, who appeared on the bill with them during their first years in Australia. But the name also provided a link to the years between December 1916 (when their 2nd daughter was born in Chicago) and 1923 in Cuba. Thanks to this passenger list, I was finally able to trace Leonor in the spring of 2012. 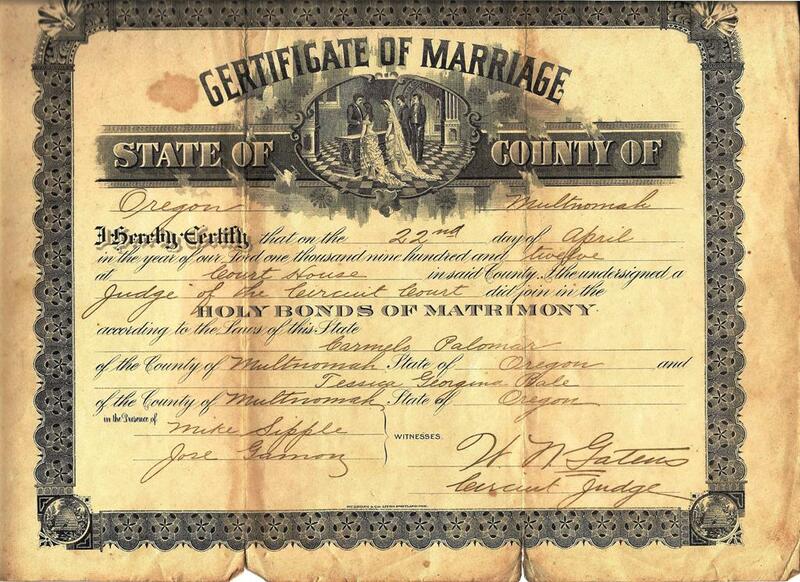 She was living in Tasmania and very graciously allowed her children to send me a scan of her parents' marriage certificate! 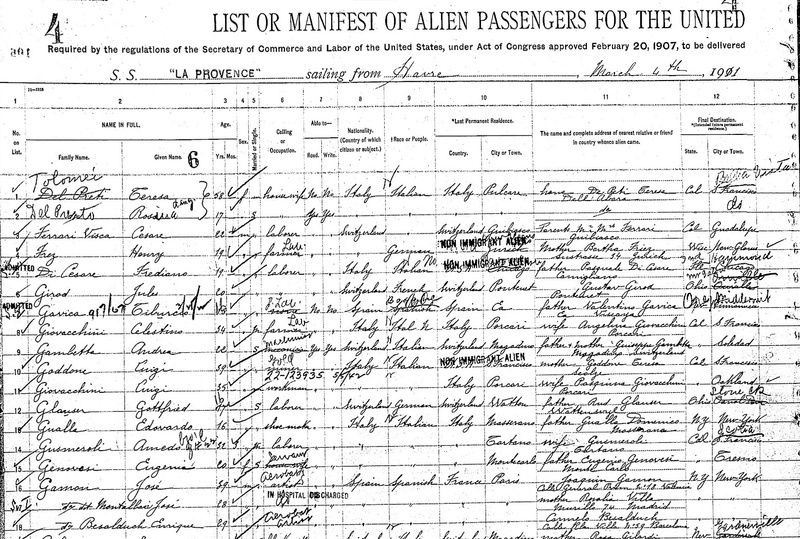 Note the name of one of the witnesses: Jose Gamon, also on the 1911 passenger list.